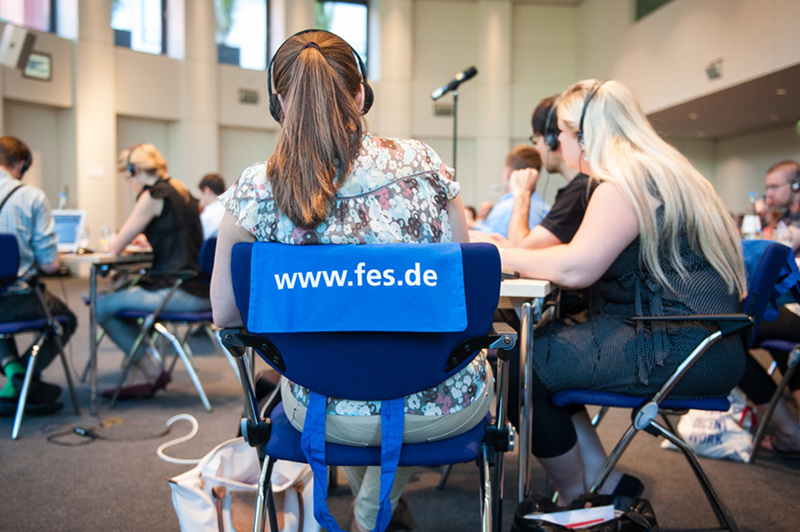 In the context of the Stability Pact for South-East Europe and in cooperation with national institutions the Friedrich Ebert Stiftung (FES) has initiated a regional project concerning the situation and the reforms of self-government and decentralization in the countries of the region. 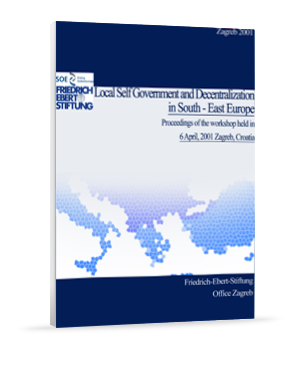 In all of the countries in South East Europe reform programs concerning the structures of self-government and decentralization either have been implemented or are under discussion. As all of them are societies in transition, we may presume similar problems and common interests in this field as well. 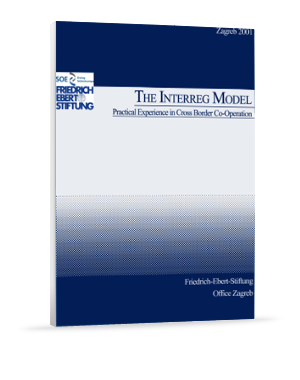 The publication on the The interreg model „Practical Experience in Cross Border Co-Operation Programmes“ is the result of the workshop in Timisora/Romania, end of July 2001, organised by the Zagreb and Timisora office of Friedrich Ebert Stiftung in the frame of its regional project ”Local Self-Government and Decentrlisation in South-East Europe”. In the context of the Stability Pact for South-East Europe and in co-operation with national institutions the Friedrich Ebert Stiftung has initiated a regional project to analyse the situation and the reforms of self-government and decentralisation in the countries of the region, covering Albania, Bosnia and Herzegovina, Bulgaria, Macedonia, Croatia, Serbia, Slovenia, Romania, and Hungary. 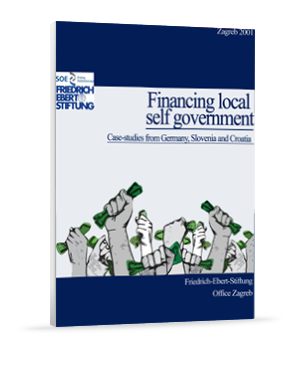 The publication on financing local government is the result of the workshop in Zagreb end of June 2001, organized by the Zagreb office of Friedrich Ebert Stiftung in the frame of its regional project ”Local Self-Government and Decentralization in South-East Europe”. In the context of the Stability Pact for South-East Europe and in co-operation with national institutions the Friedrich Ebert Stiftung has initiated a regional project to analyze the situation and the reforms of self-government and decentralization in the countries of the region, covering Albania, Bosnia and Herzegovina, Bulgaria, Macedonia, Croatia, Serbia, Slovenia, Romania, and Hungary. 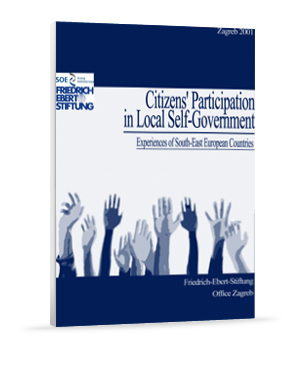 The publication of Citizens’ Participation in Local Self-Government is the result of the workshop in Sarajevo/Bosnia and Herzegovina (end of September 2001), organised by the Zagreb and Sarajevo office of Friedrich Ebert Stiftung within its regional project ”Local Self-Government and Decentrlisation in South-East Europe”. In the context of the Stability Pact for South-East Europe and in co-operation with national institutions the Friedrich Ebert Stiftung has initiated a regional project to analyse the situation and the reforms of self-government and decentralisation in the countries of the region, covering Albania, Bosnia and Herzegovina, Bulgaria, Macedonia, Croatia, Serbia, Slovenia, Romania, and Hungary. 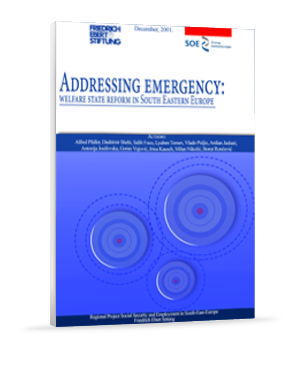 The publication is the result of the first phase of the project which resulted in ll case studies in all the Balkan countries (including studies about Serbia, Montenegro and Kosovo) and their comparative debates in three regional conferences during the course of 2001. The studies are supposed to offer an overview about the situation and the perspectives of the social dimension of the transition process, and debate the importance social security and employment have for the development strategies in the countries of the region. They analyze success and failures of transformation and reform projects in the social area, and identify the major challenges ahead.